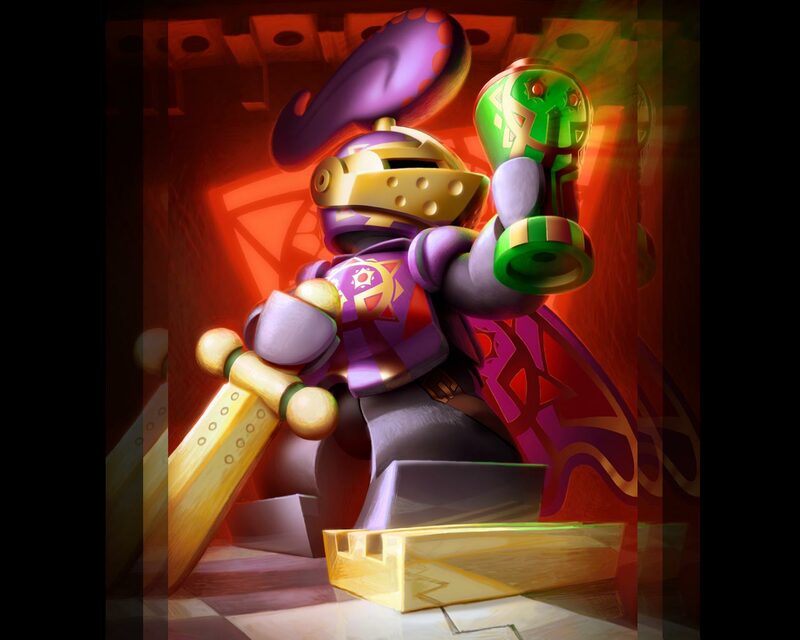 The fantastic artist at Brikwars presents this fine knight for your viewing and desktop decoration pleasure! If you missed this heres your chance to get a copy for your desktop. Wow, this is beautiful. That torso decoration would be perfect, and I like the helm. I also like the artwork on Brickwars, although the official rules are not my favorite... still, nothing is more fun than bashing little plastic men, and the art work here is good for inspiration. That's a really cool knight. You know, he's a member here, his username is Rayhawk, and there's an announcement topic at the top of this forum that's Q and A with him. B-e-a-utiful. It's times like these that I really wish I could draw! ottoatm wrote: Wow, this is beautiful. That torso decoration would be perfect, and I like the helm. Thanks! Although for the life of me I can't think of why I chose purple for his color scheme. Must be too many Danjus lying around in here. If you didn't like the old rules, you might like the new ones a little better - I just posted a fresh new batch, updated based on feedback from the last five or ten years. YES!!! THANK YOU THANK YOU THANK YOU!!! Last edited by Brickboy on Tue Apr 04, 2006 8:16 pm, edited 1 time in total. My new desktop aswell, taking a post from Legendary Frog's One Ring. My favorite details must be the leggings (with print) and the golden decoration on his helmet, those are things I would want to see often! Of course, the rest of him rocks too, the emblem is fantastic. By the way, whats up with the golden grilled piece? The Hordesman wrote: By the way, whats up with the golden grilled piece? I don't remember, I think I thought that the pose would be more heroic if he was stepping on something and I wasn't worrying overly much about having to justify it afterwards. I do admit that the grill is a kind of an odd choice, but when I started the painting I was just messing around and by the time it started turning into a serious piece I was too far in to go back and change the grill to something that made sense. And by "too far in" what I really mean is "too lazy." That pic makes me want a BrickWars GrailQuest game a la the Star Wars Lego video games. It's an amazing pic, great work! That's the kind of art that can influence me... oh, wait I'm already feeling the influence: BRICKS!.... FAST!... AND MORE OF THEM!